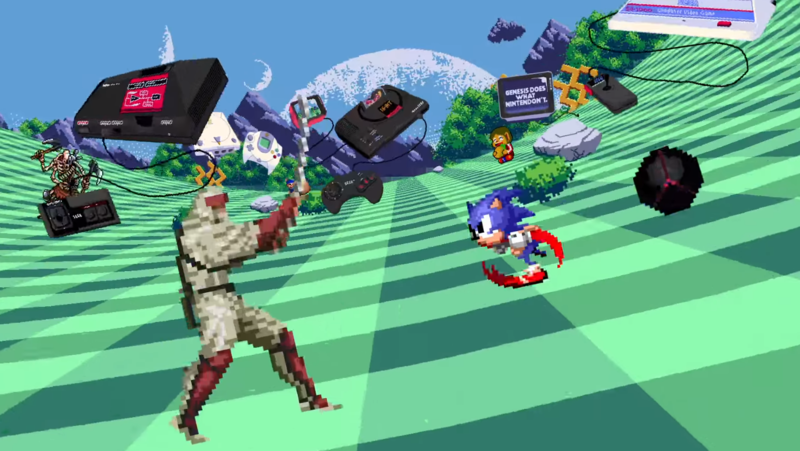 Sega Forever is an exciting idea off to a rocky start – AiPT! Last week, Sega made nostalgic gamers every where excited when they announced their new Sega Forever program. The plan is to release classic games, for free, on mobile devices. Each game is ad-supported (with an option to pay to remove them) and features saving, leaderboards, controller support, and offline mode. Sounds pretty sweet, right? Well, since the release of the first few titles this past Friday, I’ve spent some time kicking the wheels. The first five games available are Sonic the Hedgehog, Kid Chameleon, Comix Zone, Phantasy Star 2, and Altered Beast. Right off the bat, I’m impressed with the selection of games. I think it is safe to say that 4 of the 5 are definitely not flagship games, so the new exposure is neat. Being the hipster that I am, I actually do remember playing Kid Chameleon on the console, so I went for that one first. My first bump, and one I’ll come back to later, was that I searched in the iOS App Store for “Sega Forever,” which didn’t have any results. It turns out that each title is a stand-alone app. A bit annoyed at having to install an individual app for each game, I grabbed Kid Chameleon, a Capri Sun, and some pizza rolls and prepared for a free blast from my past. Ho-ly cow. When they say “ad-supported games,” what I think they really mean is “ads with a side of game.” I was expecting some banner ads, maybe one or two on loading pages, similar to other free games I’ve played (full disclosure, I’m not a bit mobile gamer). Nope. There are ads EVERYWHERE. There is an ad at startup right after the familiar Sega theme. There is a banner ad at the bottom of the start menu. To start a game, you have to watch an ad. To load a game with the “cloud save” feature, you have to watch an ad. To save a game with the “cloud save” feature, you have to watch an ad. When you pause the game, there is an ad. I get it, I am playing for free so I don’t really have a right to complain. On the other hand, though, the ads are very obtrusive, making it hard to jump in and out of a game. Some even move the little close button around the page. If you accidently click in the standard upper right corner, you might inadvertently launch the App Store page of some game you don’t care about. Kinda hurts the user experience. The actual gameplay itself doesn’t perform like it should. Not having a compatible controller, I had to play with the virtual controls on the touch screen. They worked for Kid Chameleon, a pretty basic platformer where the main character gains special powers based on different masks he can wear. I had to re-tap a few times, or use a very light touch to get right where I wanted to be. I don’t really fault Chameleon for this, though, as that is the case for most games with virtual controls. However, the inexactness of the controls could really limit what gets ported to the platform, as anything requiring any finesse would be basically impossible. The more surprising thing was that a twenty-year-old game had frame rate drops, skips, and snags. Apparently this is due to the emulation, but that’s not really a good excuse. When developers can make complex 3D games run silky smooth on the same hardware, something is seriously up when a 16 bit game stutters. For me messing around on Kid Chameleon it wasn’t the end of the world, but the bad emulation problems are another thing that could seriously hold back their porting efforts, and generally make the experience less special. For the sake of thoroughness, I also downloaded Comix Zone, and saw many of the same issues. This time, I was curious about battery life. While not a perfect experiment, since I had other things on my phone running, and I didn’t monitor for too long, it appears that these games dain battery pretty quick. This is almost certainly due to the emulation, but is surprising nonetheless given the low tech specs of the games. The only game where a comic book writer is the muscle-bound hero. Finally, back to the nature of the individual game app. When this initiative was announced, I imagined a single marketplace-style app called Sega Forever. You’d download the games as in-app purchases, and if you upgraded to the ad-free version, you’d pay a one-time fee to remove ads from the whole marketplace and all downloaded games. In reality, you have to download each game and then make separate $1.99 payment to unlock all the features and remove ads. Inside the App Store, it is almost impossible to differentiate which Sega games are mobile games or Sega Forever titles, which is confusing since the mobile games don’t appear to offer the same features as the emulations. On top of all this, getting the word out about new releases will probably be more difficult, since users don’t have a singular app that they use to play Sega Forever titles. The Super NES Classic is wholly unnecessary. I must have one.